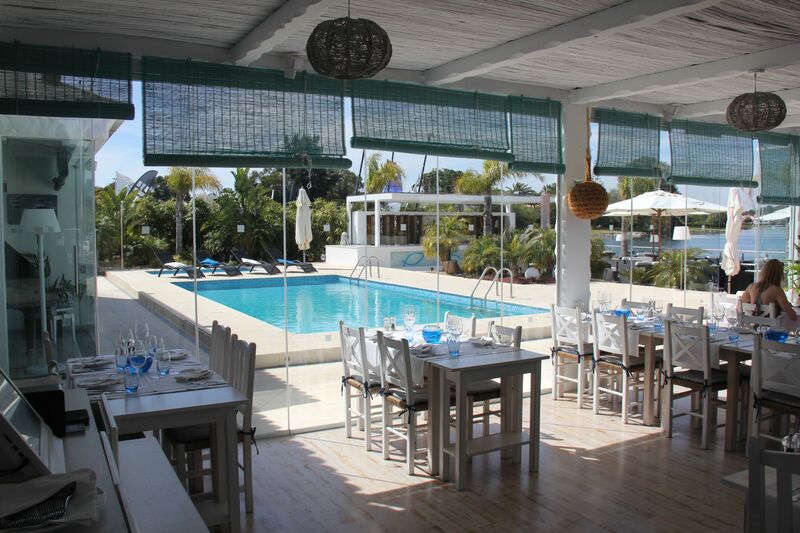 The lunchtime rush at Gigi’s was in full swing with the usual mix of excited first timers and returning old friends, but all of them sharing a common aim, to enjoy the fresh fish at this legendary Quinta do Lago beach restaurant. 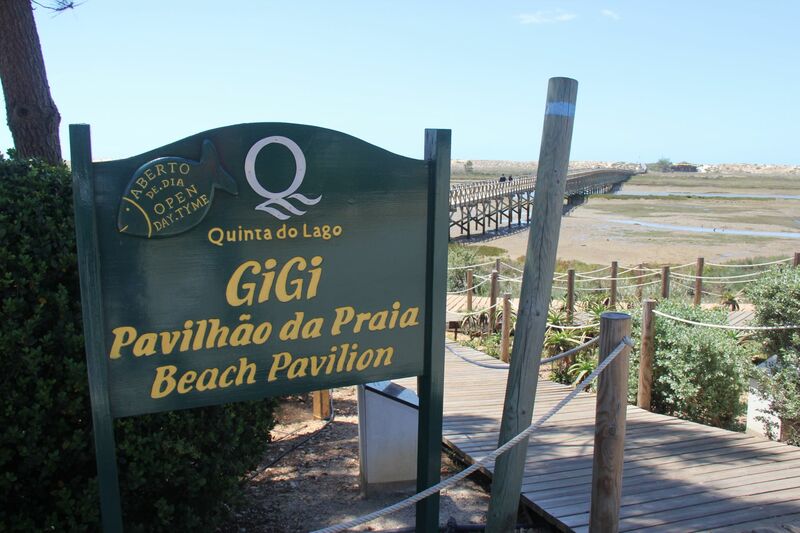 Gigi’s is a Quinta do Lago institution. Accessed by a rustic foot bridge across the stunning Ria Formosa nature reserve, this lunch time beach bolt hole right on Quinta’s Atlantic beachfront has been serving top quality fish and seafood ever since Brazilian born Gigi assisted by his ever present partner Leonora, began his own unique style of cooking here over 30 years ago. But Gigi’s is not the only institution in these parts. 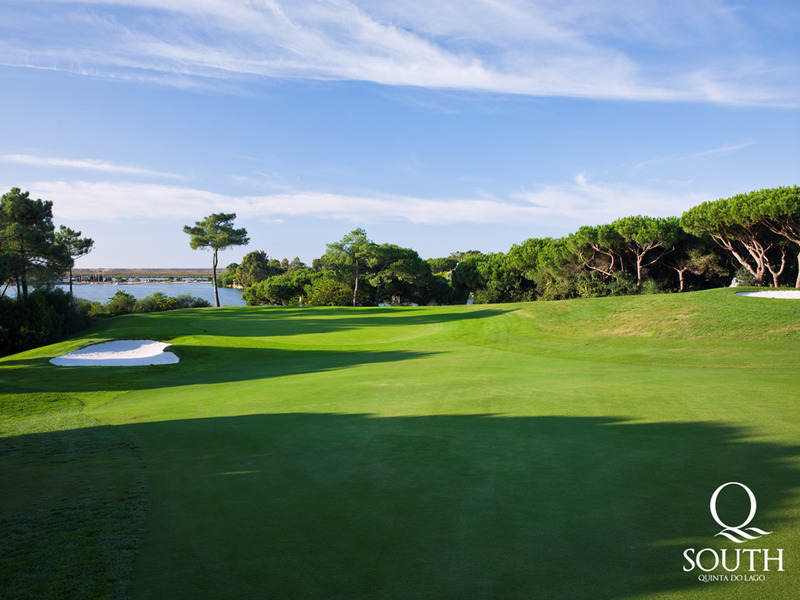 Quinta do Lago itself is something of an institution, but on an altogether different level. Set within 2,000 acres of natural forest and lagoons with exclusive access to the adjacent Ria Formosa, Quinta do Lago has been the Algarvian playground of the rich and famous for over 40 years. Its origins, under Brazilian property tycoon Andre Jordan was an exclusive oasis of luxury homes in Almancil just 15 minutes from Faro, set in a forest around three 9 hole golf courses. Fast forward a few decades to the debt-free ownership of Irish communications billionaire Denis O’Brien, and Quinta do Lago is enjoying a remarkable renaissance as one of Europe’s most sought after resort estates. It has a luxury pedigree that no other development on The Algarve can even begin to emulate. After all, owning three championship golf courses, Paul McGinley’s golf academy, six top quality restaurants, a state of the art gymnasium and an enviable real estate roster of luxury homes and condominiums is one thing, but then having the Ria Formosa nature park on your very doorstep is something else entirely. This natural chain of barrier islands and lagoons linking the Atlantic Ocean to the Algarve mainland is a wetlands wild life treasure trove; a breeding ground for thousands of different bird species and a magnet for oysters, clams, seahorses and rare Fiddler crabs. It’s quite simply a unique combination and it deserves a much closer look. 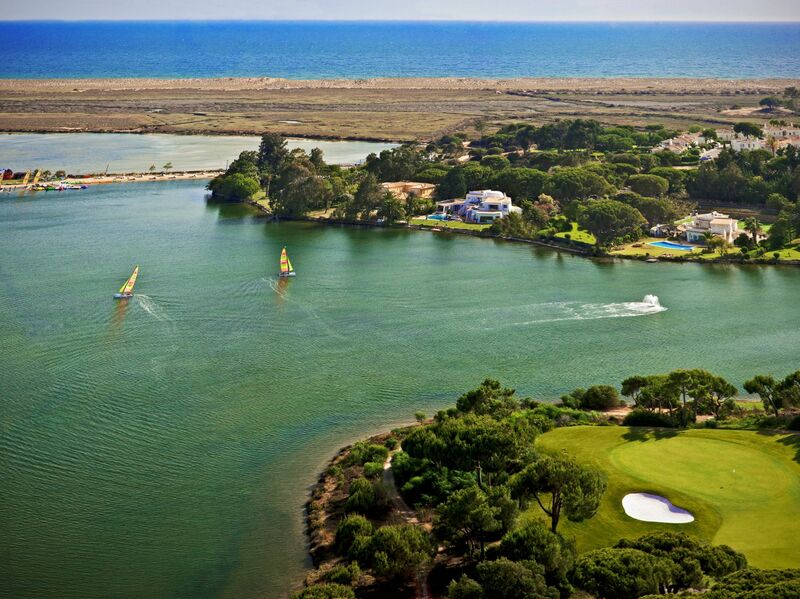 So let’s go on a tour of just what makes Quinta do Lago such a special place for a perfect luxury getaway. 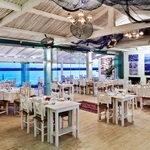 The name says it all really as the lakeside setting of Quinta’s signature gourmet restaurant provides a perfect backdrop for this fresh fish and seafood dining experience. Lorded over by genial manager Fiona, you’ll find a sense of informality in here despite the top service and attention to detail. The interior is part rustic, part modern in white and blue perhaps signifying the nautical theme and opens out all around to a generous outdoor terrace and swimming pool for those hot summer months. There’s a chalk board for the special catches of the day, but whether its lunch or dinner your palate will be in very safe hands whatever your choice. This is a recent addition to the Quinta fold and an altogether different experience to the adjacent Casa do Lago. 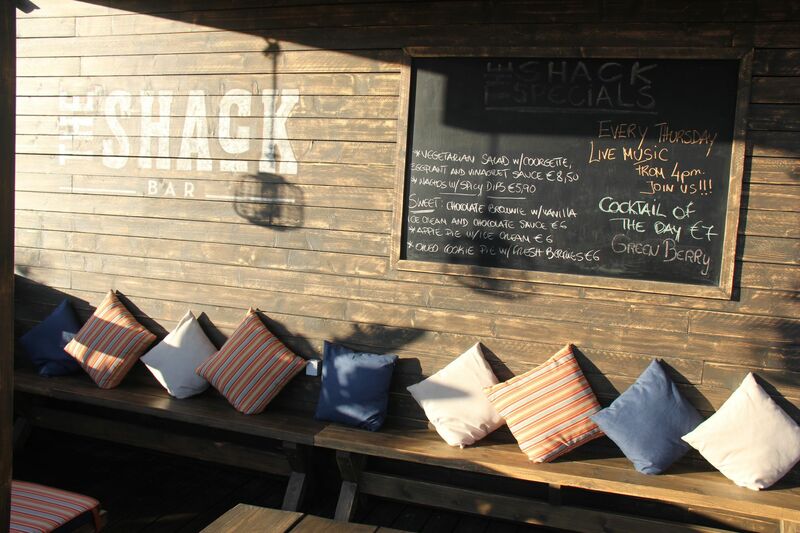 The Shack is another lakeside venue, but over here the order of the day is a relaxing drink or two over tasty tapas. This really is a wooden fisherman’s shack for the bar, the rustic deck space out by the water a perfect way to watch the sunset over a cocktail or just while the night away listening to music (live on Thursday nights) with good company, drinks and some appetizing bites. This was a surprising hit for me, an all day family cafe right by the golf academy which offers breakfast and a fine selection of bistro meals and snacks through the day and evening. The woof fired pizzas are delicious (you simply have to have the fresh garlic bread too) as are the fajitas and pasta dishes. It’s a relaxed eatery for any time of the day and evening and there’s an excellent selection of local wines. 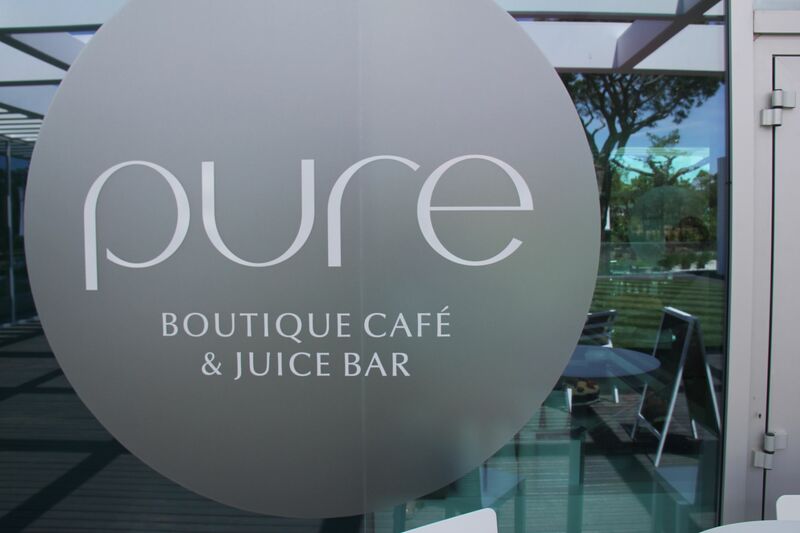 For the more healthy conscious, Pure is just heaven on a plate. A huge array of daily made salads, quiches, wraps, sandwiches, desserts and smoothies. As they say in Pure “when they’re gone, they’re gone” so get down there early for breakfast or lunch to make sure you get to see the full selection. It’s alongside a North course fairway too, so plenty of people entertainment on offer with the odd stray ball coming your way. Of course, the beating heart of Quinta do Lago is the golf and whether you want breakfast or lunch, the clubhouse offers some excellent 19th hole food for hungry golfers pre or post round. Sitting out on the large terrace after an adventurous round on the North Course, My club sandwich and cold beer provided great companions while the talk around me was of lost opportunities on one side and hope for the round ahead on the other. The Golf Courses. Fairways to heaven. Following a €10 million overhaul by Ryder Cup captain Paul McGinley and American architect Beau Welling, the North Course is effectively a new 18 holes with remodelled bunkers, tees and greens, new grasses, irrigation and drainage. The new course has been designed to challenge players accuracy and course management skills and you can follow my performance in my North Course review. 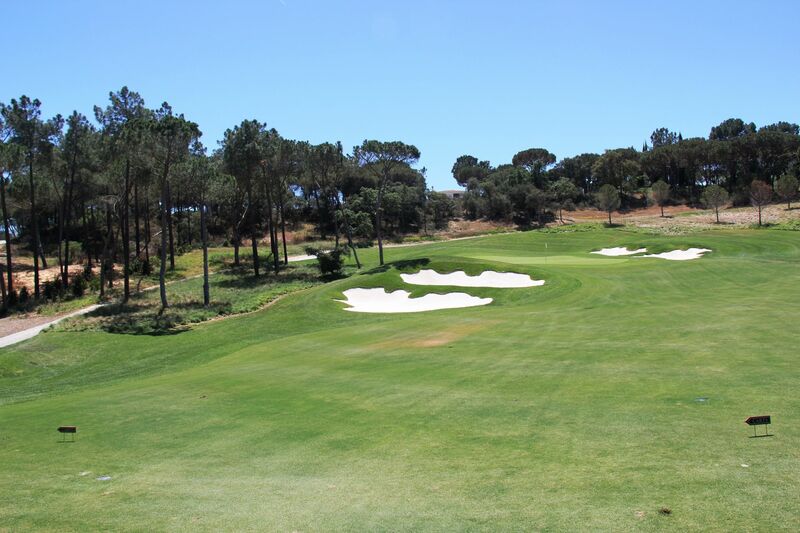 Still reckoned by many to be the best of Quinta’s three courses, the South Course has hosted the Portuguese Open an impressive eight times and its beautiful villa lined fairways, huge undulated greens and numerous water hazards always live long in the memory. The 15th with its dramatic second shot over water to the green is the jewel in the crown. Read my Quinta South Course review for the full story. 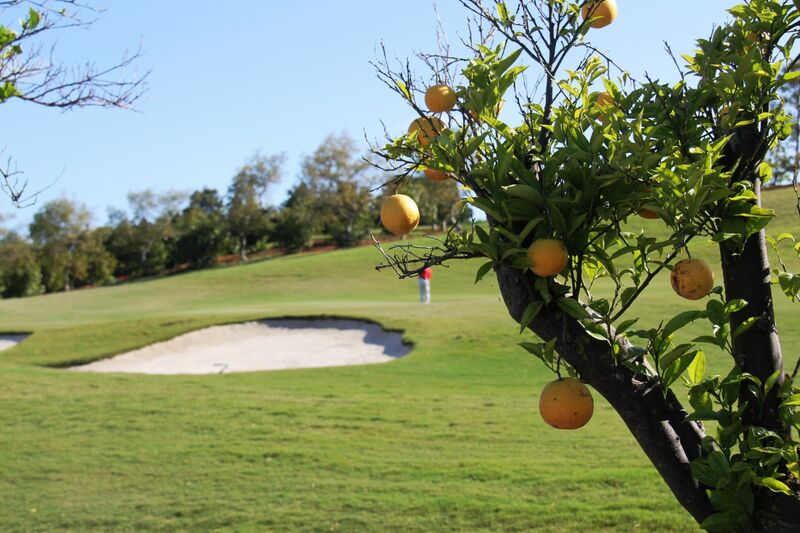 A former orange grove is the venue for Quinta do Lago’s Laranjal course, designed by Portuguese architect Jorge Santana da Silva. Laranjal is a little different than Quinta’s other two courses with five par fives, five par threes and just eight par fours, a combination perhaps aimed at offering higher handicap golfers a little more wriggle room to get a half decent score. That said, the greens are fast and very tricky and there are more than a few memorable holes with the16th. the stand out for me. Read my Quinta Laranjal Course review for the full story. Playing on world class golf courses is all well and good, but to play them well you need to have a reliable golf swing and excellent technique and Paul McGinley’s golf academy, conveniently placed next to Quinta’s North and South courses, helps you do just that. João Dias and his team of PGA qualified instructors with the help of the latest teaching technology and their own brand of coaching, analyze and support you to improve whatever your level. 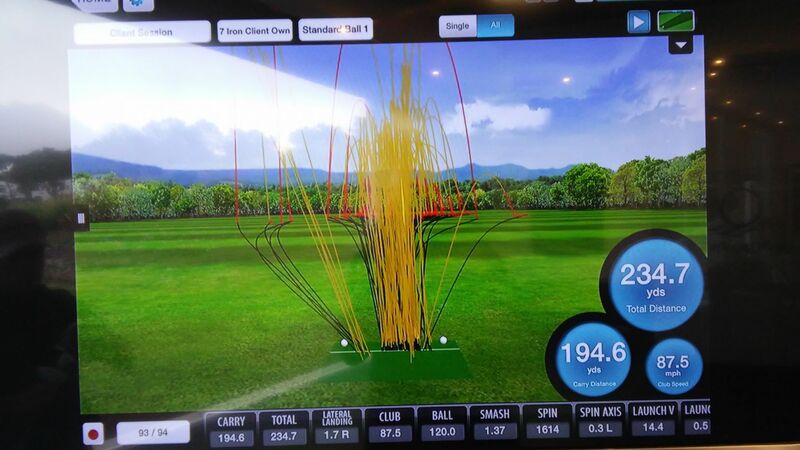 I enjoyed a Taylormade club fitting session with instructor Callum Burgess which proved conclusively to me that getting a set to fit my own individual swing is crucial to more consistent results. Ball tracking, angle of attack, impact speed, spin and a host of other key areas are all scrutinised to discover the best solution. As João tells me, a golf swing is not a one swing fits all it is about individuality, and mine is about as individual as you can get. 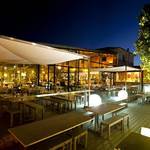 The lake area at Quinta do Lago does much more than simply play host to two restaurants. 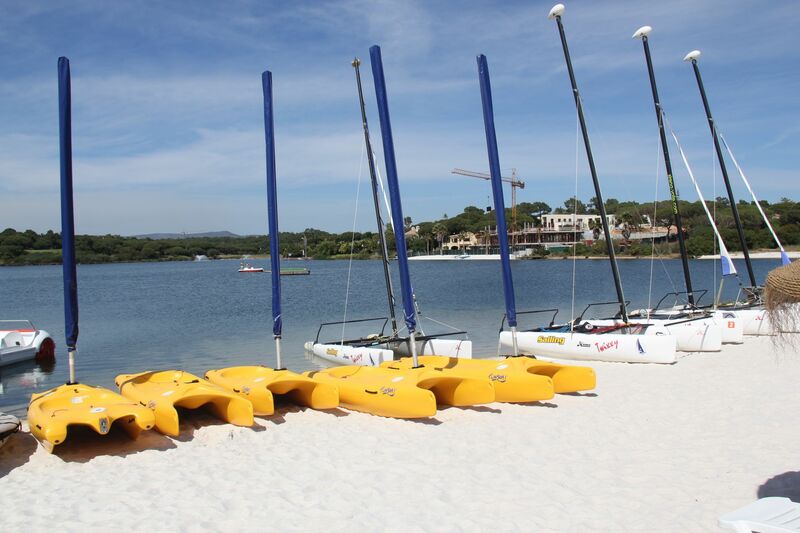 There is a small beach but more importantly you can try your hand at boating, stand up boarding or even water skiing with instructors on hand to help your technique. 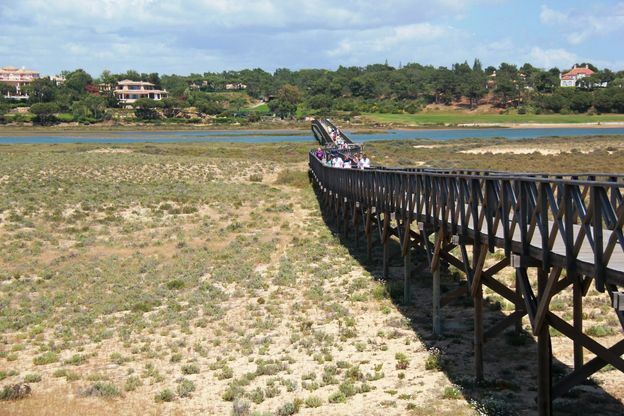 Unique to Quinta do Lago is its access to the natural barrier islands that are the Ria Formosa Nature Park. There is so much to admire as you take a walk around this wetland heaven. For birders, you’ll find hides dotted around in key areas so you can spend the day in comfort looking out for your favourite species, take a bike or join Nelson on a Segway tour and ride around the natural salt flats which stretch almost back to Faro, or simply stroll around and marvel at this natural wonderland. Quinta do Lago is full of stunning properties and manicured lanes , the holiday homes of the rich and insanely famous and although many names are bandied about in conversation, it is privacy and discretion which makes Quinta do Logo such a special place. You may well spot very familiar faces eating breakfast in Koko Lane or Pure, but you maintain your distance just the same. It just feels right. 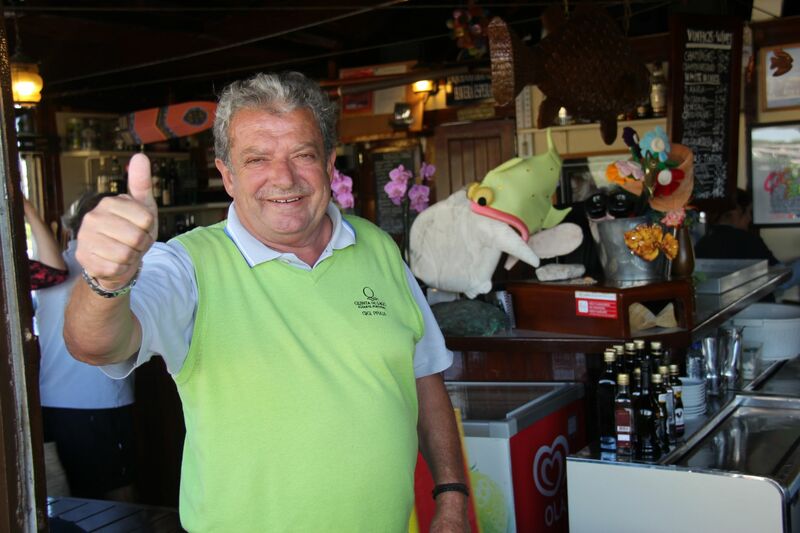 For me though, my tour of Quinta has left me with a distinct hankering for some more of Gigi’s lunchtime hospitality and as I cross the wooden bridge to the beach, he greets me with open arms like a long lost brother. This is without doubt the only way to live. 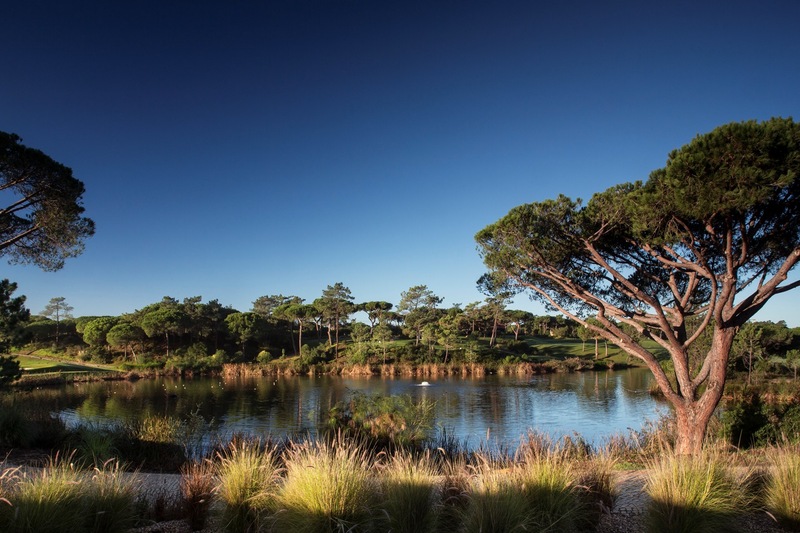 How can I find out more about staying at Quinta do Lago? 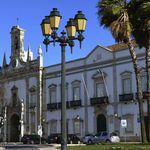 If you are looking to stay in a hotel instead then the stunning Conrad Algarve is inside Quinta do Lago close to the discreet mall of shops and cafes.